A perfect solution for heavier items. Maximized tray load capacity for the entire range of Modula VLMs. The Modula OneTon is the answer to all of your storage needs for heavier items and materials in your facility. 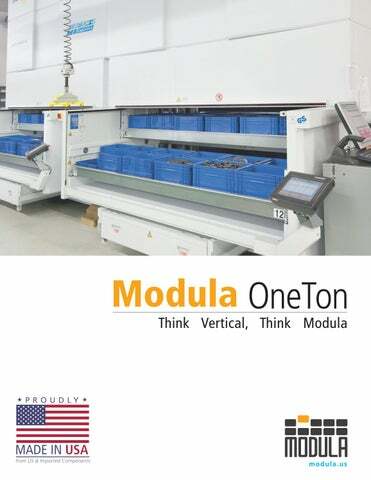 With its 2,200 lbs (990 kg) net payload per tray and complete personnel protection devices for operators, OneTon represents the leading edge of Modula VLM technology. Modula OneTon is a leader in user ergonomics, designed to provide maximum operator safety in even the most demanding working conditions. Modula OneTon provides a maximum tray load capacity of 2,200 lbs (990 kg) per tray for the entire range of models regardless of tray width or depth, without sacrificing user ergonomics or safety. With the availability of the fully automatic external picking bay, the OneTon may easily be used with overhead lifting devices, cranes or hoists. 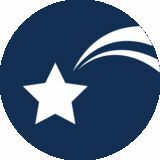 Modula WMS software suite Modula WMS is a fully featured warehouse management software that can be used to manage the space and utilization of Modula OneTon units or as a standalone software tool. It can easily be interfaced with nearly any ERP system. Maximum payload for every tray width Modula OneTon VLM units offer a wide range of tray dimensions and load capacities. With tray sizes up to 13.3 feet (4.06 meters) wide and load capacities of up to 2,200 lbs, OneTon units are able to meet nearly any applicationâ&#x20AC;&#x2122;s requirements. Operator safety All Modula units are equipped with physical and optical safety barriers in order to ensure a 100% safe environment to operators. Unit safety is further guaranteed by the TĂ&#x153;V-GS certification obtained for the entire product line. Internal or external bay, single or dual delivery The internal bay is the ideal solution when space is at a premium. The external bay offers the best possible ergonomic workspace for operators. It can provide further benefits when used in combination with picking aids such as cranes and mechanical manipulators to lift heavy items stored within trays. Single delivery level is ideal when the machine will be used moderately, or when the picking time is quick. Dual delivery is the ideal configuration for a fast-paced picking operation. All information provided on this catalogue is for informative purposes only and is not binding. Modula reserves the right to change information on this catalogue at any time. Modula will not accept liability for or guarantee the accuracy of the information contained herein.